CPLC is a unique example of public-private partnership whereby citizens have come forward as volunteers, took charge to rectify the deteriorating law and order situation in coordination with law enforcement agencies and has worked untiringly to achieve its righteous objectives. CPLC has 6 District Offices in Karachi, 1 District office in Hyderabad, Head office in Sindh Governor House and soon to start a District office Sukkur. It is a Non-Political Statutory Organization which provides relief to victims of crimes and provides Technical support to LEAs. CPLC Strive to Monitor & Prevent Crimes, Protect Lives & Property, Uphold the Rule of Law and ensure continuous improvement in its services. This organization has worked tremendously during the last 25 years of its existence and has proved that whenever an initiative is taken with sincerity and dedication there are no boundaries to success. CPLC by virtue of its volunteerism, zeal and acceptance among masses started with a very few notified functions but had to expand both in terms of number of activities as well infrastructure. 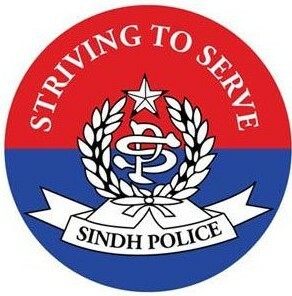 The services and functions of CPLC Sindh kept on increasing whether it be combatting crime or providing relief to masses, whether it be providing assistance to law enforcement agencies or assisting poor masses/police families, LEAs martyrs families etc. through welfare based activities. CPLC has left no stone unturned to work untiringly for the peace, tranquility, betterment of masses and deprived sections of society without any discrimination of caste, creed or religion.